We were please to play host in Eastbrook to Enabling Enterprise and 30 children from the Isle of Ely Primary School recently. Enabling Enterprise arrange challenge days in local businesses to help the children develop essential skills for the world of work. This visit was a fantastic opportunity for students from Year 2 to put their 'Using Imagination' and 'Sharing Ideas' skills to the test with support from our Civil Service volunteers, Susan, Nafesa, Jackie, Dean, Karen and Robert. The day started off with the students interviewing the volunteers to find out about their different roles, responsibilities and the essential skills required to do their jobs. Students then went on a tour of the office, which allowed the teams to see the variety of jobs available in the Civil Service. Students took on the role of a marketing team at a new and exciting company that stocks and sells chairs. Teams first undertook crucial market research (we happen to have a variety of chairs on site which the children had of course to try out) to find out what features and benefits the employees wanted before 'Using Imagination' to design a brand new chair. 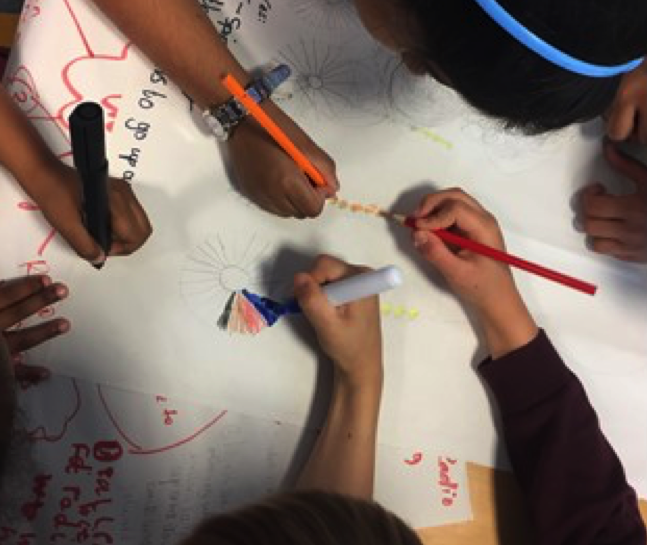 It was really important that students were 'Sharing Ideas' with each other so that they could come up with the most creative and innovative design. Next up, teams created an exciting poster to advertise their new product. The day culminated in teams pitching their design and marketing ideas to a panel of judges in the hope that they could persuade them that their chair was the one to buy. Thanks to everyone for such a great day!